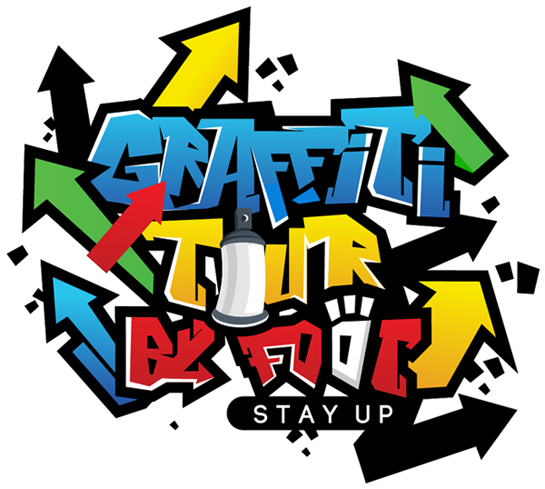 Graffiti-tour-by-foot guides pound the pavement looking for the best street art and graffiti in New York city so that we can offer you a one-of-a-kind experience. Below are a few of our featured public walking tours. These tours are likely to sell out so be sure to book early. We also offer custom and private street art & graffiti tours for student groups, corporate events, small groups or even couples. Visit our private tour page for further details. Where we walk: Manhattan, Williamsburg, Bushwick, and Welling-Court. 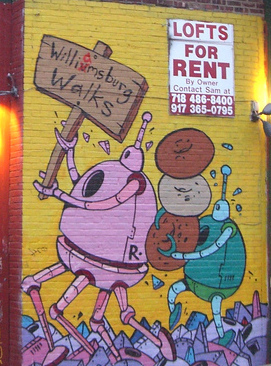 Williamsburg is a vibrant community located in Brooklyn, right outside the island of Manhattan. With an easy five minute train ride you can begin exploring the streets of Williamsburg and discover all of the amazing sights. Though the street art and graffiti in the neighborhood is a must see, it is just one of the amazing highlights of the tour. The community has a fascinating and rich history, which we explore as we walk through the artsy neighborhood. Come explore the history of Soho, Noho, East Village and little Italy with an expert guide. 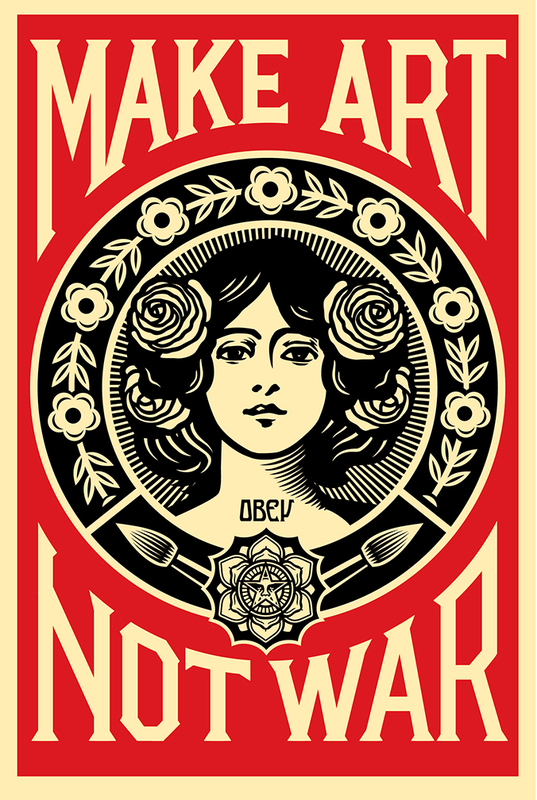 The Manhattan Street Art walk explores the counter culture that has influenced so many artist through out history. You will discover the location of Keith Harings former Pop Shop and Jean-Michel Basquiat's studio previously owned by Andy Warhol. Walk with us to see the Keith Haring wall and the 1st street art park. And, stroll down the oldest street in Manhattan, known as the Bowery, to see where the former punk rock CBGB scene thrived in its day. The Bushwick Collective walk explores one of the best places in Brooklyn to see graffiti and street art. This is a newer area to the art scene and over the last six years it has become one of the most visited places to see amazing murals from artists that have come from all around the world. There are great local places to enjoy food and drink like KCBC, the first brewery in the last 40 years to take up residence in the area. There is also AP cafe, SeaWolf, Artichoke Pizza, The House of Yes and many others. This neighborhood and walk should be on your must visit list when traveling to New York. Whether you're an artist, or just interested in what the street art scene has to offer, when you explore the streets with an expert guide you will begin to see the City with fresh eyes. As you walk through the outer boroughs or the streets of Manhattan, you will open yourself to a new kind of beauty, expressed through tags, throws, pieces, murals, paste-ups, stickers, installation pieces and random trash art from local and international artists. New York is the City of Dreams for artists and the like, and it has become one of the largest outdoor galleries in the world over the last 50 years. 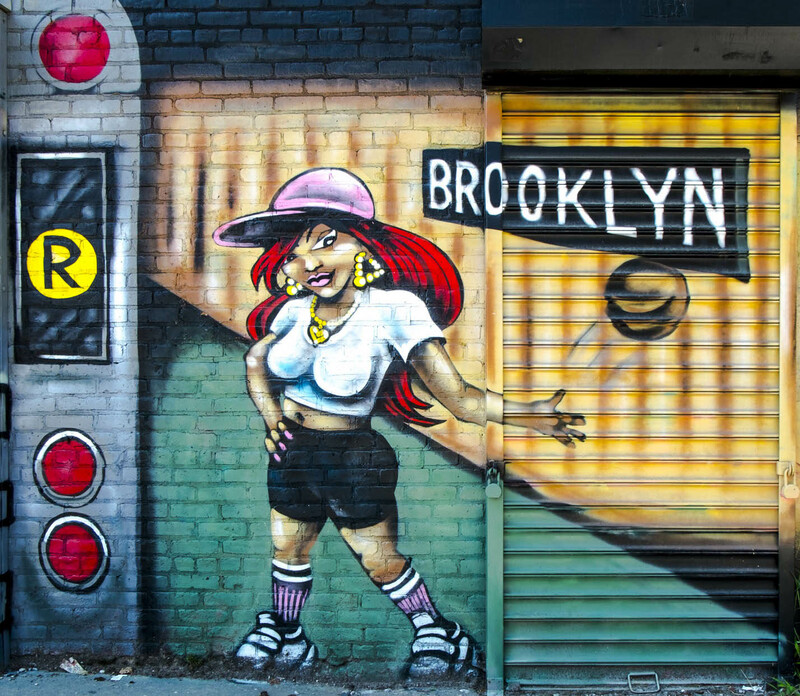 Your guide will take you through NY's rich street art & graffiti history. He or she will give you a keen perspective on how the art has changed and influenced neighborhoods all throughout NYC. Art and artist move around the world and inevitably turn up in New York creating an artistic haven for inspiring and thought provoking forms of new expression. All city artists have hit Manhattan, Brooklyn, Queens, Bronx and Staten Island. 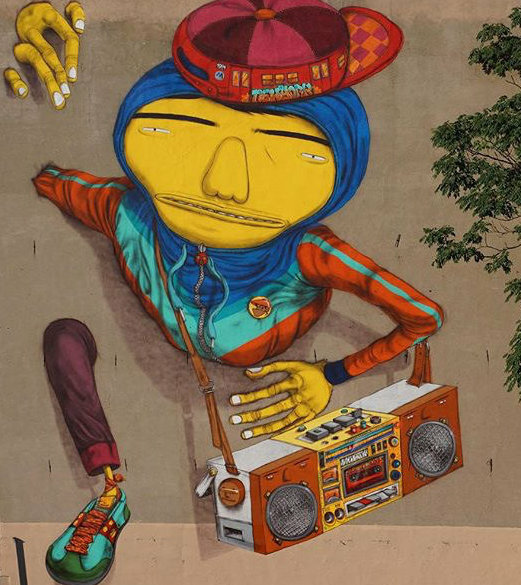 These areas and many other cities around the world shape and influence street culture and continue to grow the world-wide phenomenon of graffiti and street art internationally. Our featured walking tours will most likely sell out so make sure you book your spot today!